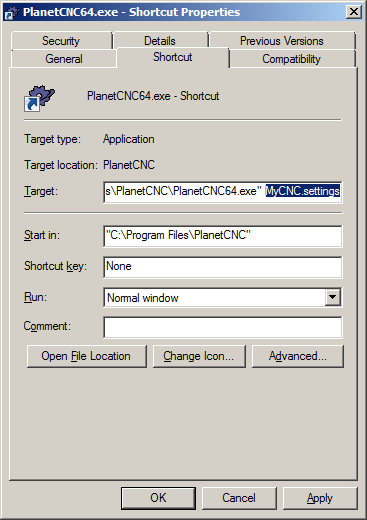 This tutorial will help you create new profile in PlanetCNC TNG software. If you have multiple CNC machines (machines of different dimensions or different types) with its corresponding controllers, and you want to use them with only one computer, it is very useful to create separate profiles, each using pre-configured settings and scripts, each for specific machine. Using profiles makes up for much more organised and transparent file management of PlanetCNC TNG files. 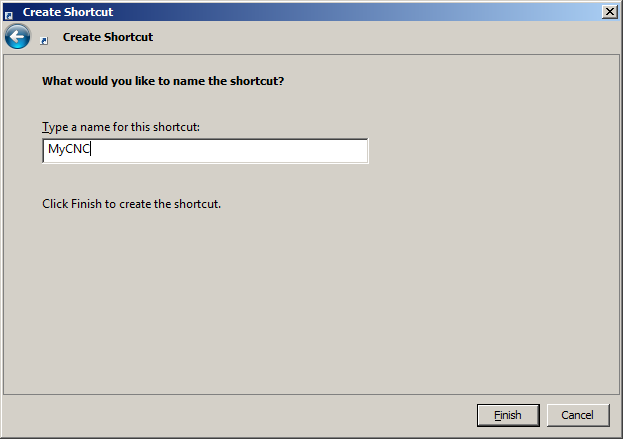 Right click on newly created shortcut and click Properties. Insert name of settings into Target window after Target path. 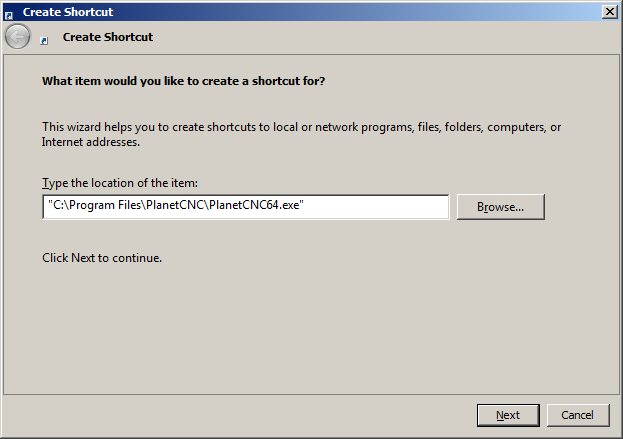 Start PlanetCNC TNG sw via newly created shortcut.